Think the perfect gift doesn’t exist? Think again after we tell about this: Gift Cards from India’s most trusted store: Lifestyle. Lifestyle features a massive selection of great products from hundreds of leading national and international brands. A part of the Dubai-based retail and hospitality conglomerate the Landmark Group, Lifestyle offers women's, men’s and kids’ apparel, footwear, handbags, fashion accessories, beauty products and much more, all under the same roof. Get someone the best of all out there, with lifestyle which offers a huge variety of products to choose from. The e-Gift Cards you purchase will be delivered to you via email instantly. In some instances it might take upto 24 hours max to reflect in your inbox. The e-voucher or Gift Card can be redeemed online at the merchant website or using the app. If the merchant has an offline store, the e-Gift Card might be redeemable. Please check the Terms & Conditions for further information. This Gift Card will be delivered to you inbox for free. This Gift Card can’t be used to purchase other Gift Cards. This Gift Card can only be used at the mentioned merchant store. Check Terms and Conditions to find out if your Gift Card can be used multiple times. and can be clubbed with other voucher codes. Lifestyle is India’s one of the most trusted stores with over 50+ stores all over India. It’s a preferred store when it comes to shopping and why not? It has everything from clothes to bags to perfumes to even household items. The store offers a number high-end brands and its very own label as well. Lifestyle has over more than fifteen thousand customers walking into their stores every hour. If you are planning on giving someone something, a lifestyle gift card is definitely a good choice. One reason for it being that they have everything anyone will ever need under one roof, from apparels to accessories, name it and they have it. One more exciting fact about the Lifestyle stores is that- In a year, over 14 million products are sold all over India alone. Imagine how much more is sold globally. Lifestyle offers a huge range of products to choose from. A plethora of apparels, accessories, and products that are segregated into numerous categories for the ultimate buying experience of every customer that shops at one of their stores both at outlets and online. There’s something for everyone. Here’s a situation. Someone wanted to shower some appreciation on you and they decided to do with a Lifestyle Gift Card. Now, you have a fully loaded card and a store full of opportunities to use it. If there’s a party coming up, you can use to buy a cute dress or some nice pants, whatever your style is. If you are bored with your work clothes, you can use the card to get some nice shirts. If you have a travel on cards, use the card to get yourself some nice luggage bags. Your favorite celebrity launched their new perfume, you know what to do. If you are looking to redecorate your house or just adding more personality to it, use the card to buy something from the home section whether you want cute cushions or nice smelling candles or mirrors, find everything here. Get what you love easily by redeeming your lifestyle gift card online or on our apps. All it takes is a few simple steps. Go on, check it out now. Lifestyle introduces new collections, every season, collections that take on the hottest trends from across the world right in your reach. So if you have been surfing through fashion magazines or looking up amazing clothes online and wondering where you can find them, your search ends at one of the lifestyle stores. While that was only about the clothing they touch other bases as well. In fashion, they even have accessories and footwear collections. Their collections are available for both men and women. They even have in their outlets various and popular makeup brands. Apart from that they even have the top perfumes and deodorants. Other than fashion, they even have a lot of home essentials from bed sheets to bathroom needs even hangers and laundry baskets. They even have a dedicated Home Centre just for home-related purchases. Whether stepping into a Lifestyle store for a good ol’ retail therapy or out of boredom checking out the lifestyle and getting your heart set on something, you can look forward to a seamless and hassle-free shopping experience. If you get a new gift card or if you already have a lifestyle gift card, add money to it and get that dress you have had your eye on for quite some time. While that’s for what to do when you have a gift card for yourself. Here is another aspect to it. What if a special occasion is nearing and you are not exactly sure what to give this person. Giving your best friend, a partner or a family member is one thing, but that is not the case for everyone. Here is a fun fact: A lot of gifts get regifted. Now if you are putting in a good amount of time and money in one thing, the last thing you want is for it to be regifted, right? And if you are wondering with a lifestyle gift card, discount prices are in order, then that is something you will have to check with the lifestyle stores specifically- If you want to get in touch with them regarding the same over the phone, here is their number: 1800-123-1555‎. 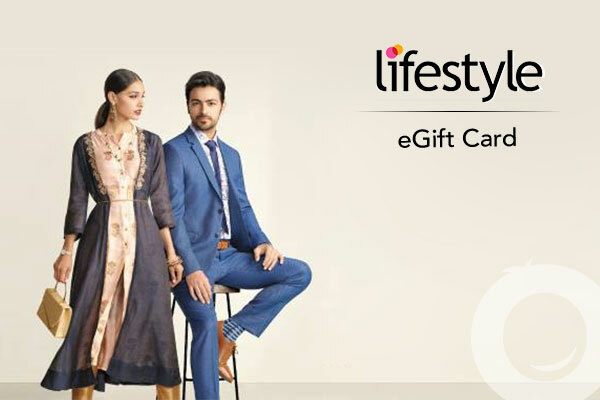 And if you are more of an email person and wish to get in touch with them over emails, here is their email id: help@lifestylestores.com Coming back to the main issue, get a lifestyle gift voucher, offer it to the person you are supposed to give a gift to, neither your money nor your effort will go to waste. You can redeem your Lifestyle e gift voucher online if you are shopping on the website or on the app. Just go about your entire shopping process, go on the app or the website, look for a product whether they are sunglasses or handbags or curtains. Shop to your heart contents and add them to the cart. Once that is done and you are proceeding to pay for your order, that’s when you can use your Lifestyle Gift Card. Look for a box to enter a number at the bottom of the checkout page- Once you spot that, enter your 16-digit Gift Card number and 6-digit pin and hit ‘Apply’. This will allow you to see how much money you can spend on your Gift Card. Click ‘Pay Now’ and complete your shopping. It's that easy! Get the best of the Lifestyle stores whether it’s for your house or for your or for anyone else. This store is a boon for everyone who isn’t sure what to get and with a lifestyle gift card offer in hand you can get the best of the deals, offers, and discounts that the Lifestyle stores have to offer. With GrabOn added to the mix you can rest assured that it is safe and secure. And one of the best things about the lifestyle gift card reload option is that you can refill as per you will and wish. So you can use an old one if you received one in the recent past or got one for yourself as a gift to you from you. Happy Shopping and Gifting! What is a Lifestyle Gift Card and what can one do with it? A lifestyle gift card is a prepaid card that works like a debit card. Recipients of Lifestyle gift cards can then purchase any product they like from the Lifestyle store. These Lifestyle gift vouchers can be presented to your family and friends. 1. How do I get a Lifestyle Gift card/ voucher and send it to others? Select the one you want from the list of available gift card denominations. Enter details about the recipient. A personalized message can also be added optionally. Receive a SMS verification message. Check out and pay using credit/ debit card/ wallet/ netbanking and complete the transaction. The respective recipient will get the Lifestyle e-gift card in their email after the transaction is successful. 2. What is the validity of a Lifestyle gift voucher? Lifestyle e-gift vouchers are valid for use until a year from their issue. 3. How do I redeem my Lifestyle gift card online or how do I activate my Lifestyle gift card? Add the products of your liking to your cart and proceed to check out. Select "Lifestyle gift card" as your payment option. Enter your 16 digit Lifestyle gift card number and the corresponding 6 digit PIN number at the bottom of the check out page. You can then see the amount you can spend using the e-gift voucher. 5. Can I use multiple Lifestyle Gift Cards in a single purchase? Yes. Multiple gift cards can be redeemed on a single transaction. 6. Can I use Coupons or Promo codes along side my Lifestyle gift card? Yes. Extra discounts can be availed using offers and promo codes only from Lifestyle. 7. How do I find my current balance on my Lifestyle gift card? For balance enquiry, simply SMS "LSBAL" to 56767. Receive your Lifestyle gift card balance update. 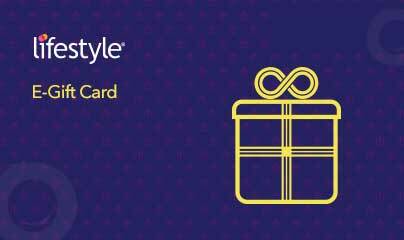 Additionally customers can also avail balance enquiry on their gift cards through the official website "lifestylestores.com" or by visiting the physical Lifestyle stores and enquiring with the staff there. 1. What happens if I cancel my purchase but my amount gets deducted? Reach out to our customer support regarding the available options of repayment in such a situation. 2. What do I do if the transaction fails but the amount gets deducted? In such a case, reach out to us as soon as possible and we will look into the matter and revert accordingly. 3. Can I use my Lifestyle gift card on other online stores? Yes, Lifestyle gift cards can be redeemed online at the HomeCentre.com and MaxFashion.com websites other than the official Lifestyle website. Drop us a mail at giftcards@grabon.in or call us at 7997692233 and our team will get back to you.